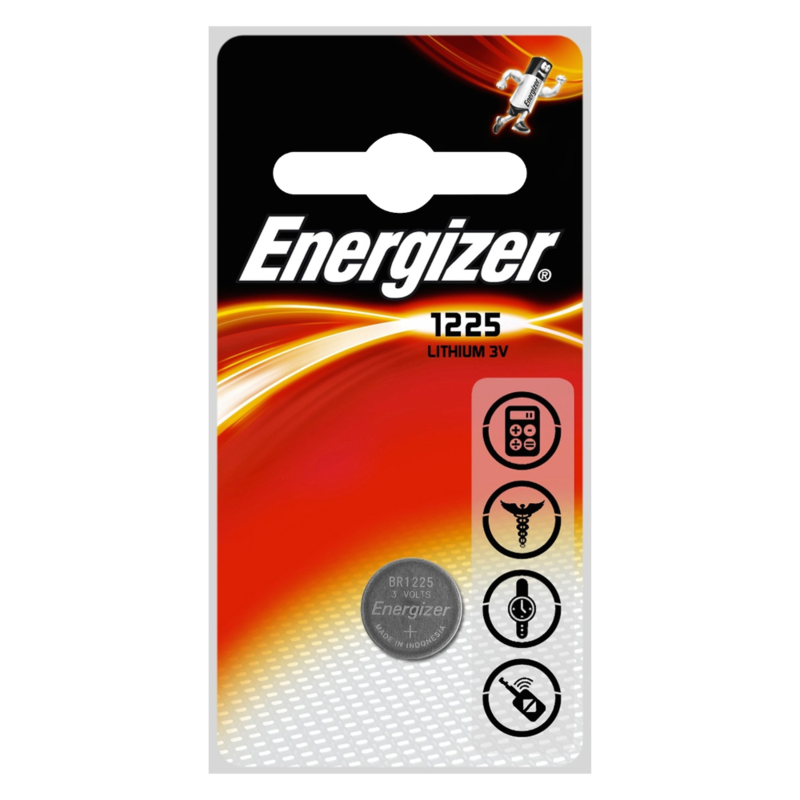 This product is a blister packed 150MAH lithium coin button cell battery twin pack from Energizer, and replaces the 157, 303, 357, AG13, EPX76, LR44, S76, SG13 and SR44. These cells can be used for applications such as watches, pen lights, digital thermometers and laser pointers. They are are designed for single use with a typical output of 1.5V and function at a wide range of operating temperatures, making them versatile and reliable. 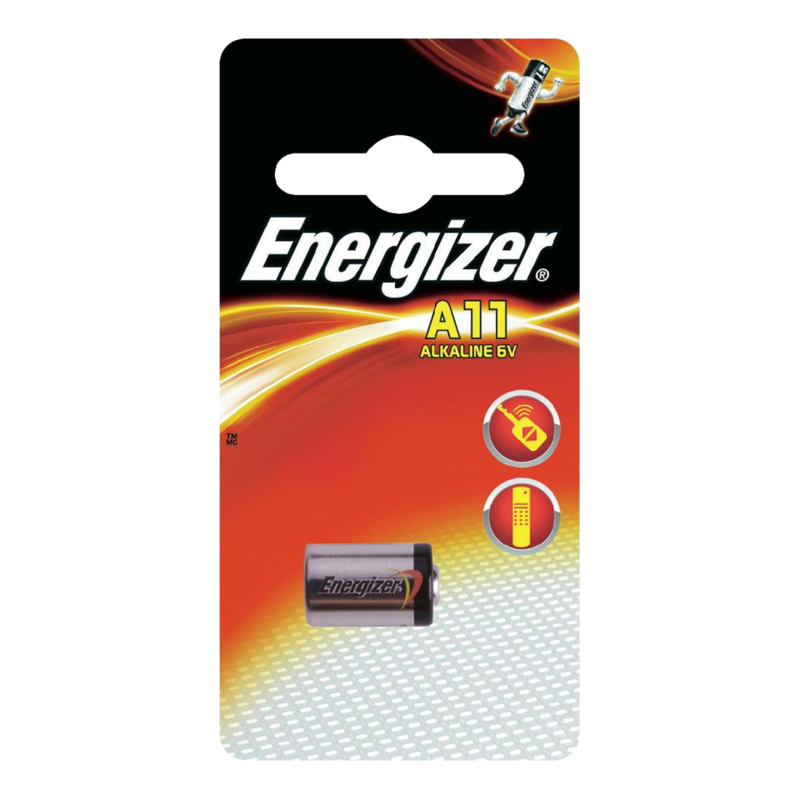 This blister packed A11 6V Alkaline from Energizer replaces the AG11, E11A, GP11A, L1016, MN11, V11A and is commonly used in cameras and camcorders. 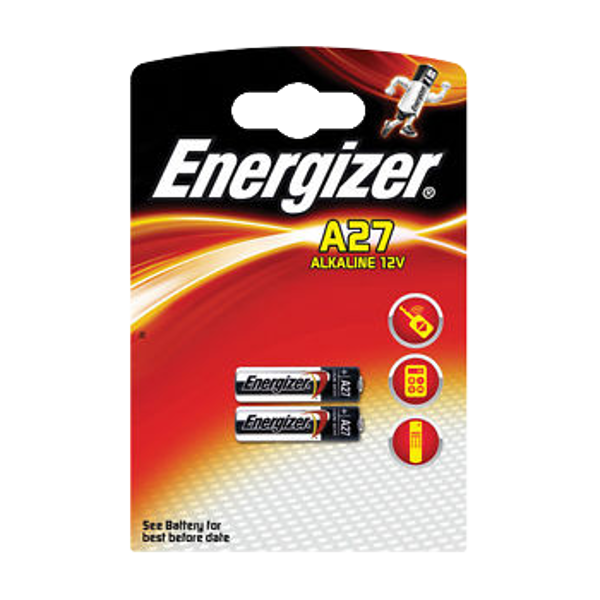 This blister packed A23 12V Alkaline from Energizer replaces the 23GA, E23A, GP-23A, GP23A, K23A, L1028, LR23A, LRVO8, MS21, V23, V23GA & VR22 and is commonly used in cameras & calculators. 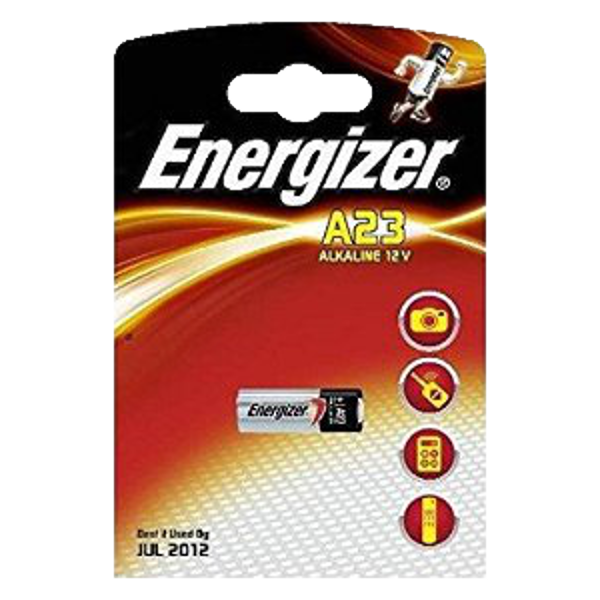 This blister packed A27 12V Alkaline from Energizer replaces the E27, CA22, MN27, EL-812, G27A, EL812, GP27A, L828 & 27A and is commonly used for remote controls, laser pointers and photography. This blister packed CR1216 3V lithium coin cell from Energizer replaces the BR1216, DL1216, L40, ECR1216 & 1216 and is commonly used in calculators, medical devices and watches. 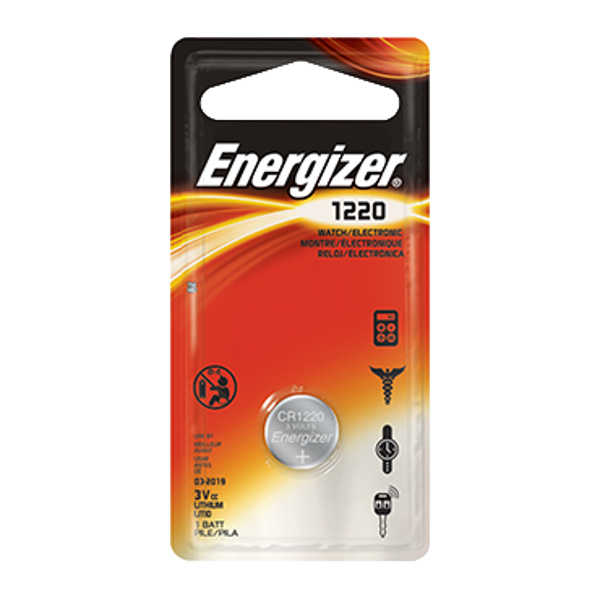 This blister packed CR1220 3V lithium coin cell from Energizer replaces the CR220, ECR1220, L04, 1220, DL1220, MCR1220, 5012LC & SB-T13 and is commonly used in clocks & medical devices. This blister packed CR1225 3V lithium coin cell from Energizer replaces the 1225, BR1225 & DL1225 and is commonly used in calculators, clocks, CMOS, medical devices, toys and watches. 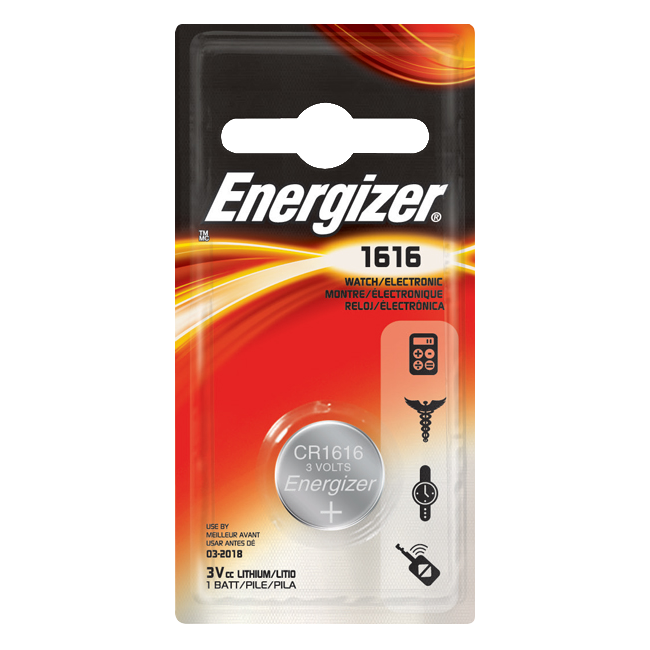 This blister packed CR1616 3V lithium coin cell from Energizer replaces the L28, DL1616, BR1616 & 1616 and is commonly used in calculators, light meters, toys and watches. 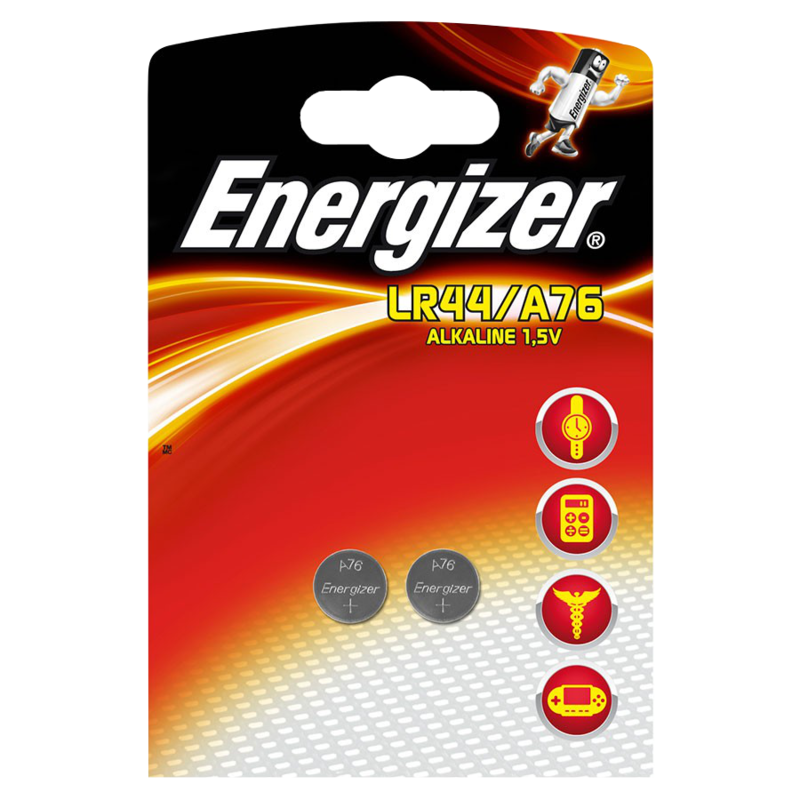 This blister packed CR1620 3V lithium coin cell battery from Energizer replaces the 280-208, BR1620, CR1620, DL1620 & ECR1620 and is commonly used in heart-rate monitors, glucose monitors, keyless entry, toys & games. This blister packed CR1632 3V lithium coin cell from Energizer replaces the BR1632 and DL1632 and is commonly used in calculators & watches. 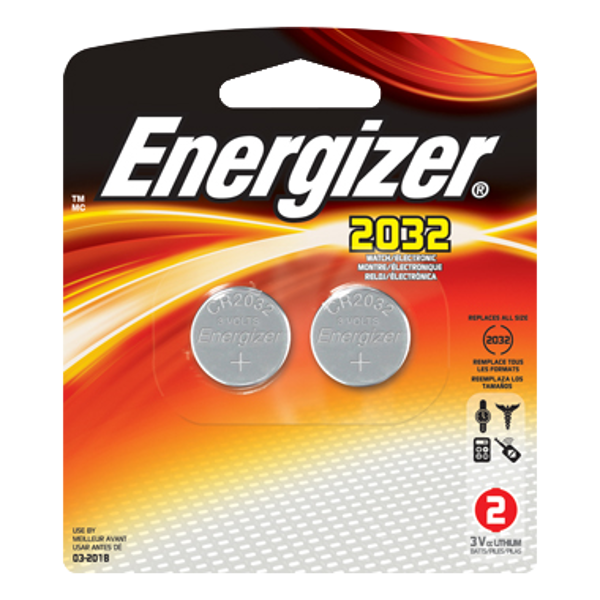 This blister packed CR2025 3V lithium coin cell from Energizer replaces the DL2025, SCR2025, 2025, EA100CF, ECR2025 & KL2025 and is commonly used in 3D glasses, calculators, medical devices, remote controls and toys. This blister packed CR2032 3V lithium coin cell from Energizer replaces the 280-205, 5003LC, BR2025, DL2025, ECR2025 & SB-T14 and is commonly used in 3D glasses, calculators, medical devices and toys.